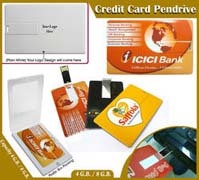 Pen drives are very popular utility item as Corporate Gift. They come in different shapes like Key Chain, Ring, Stylus touch, Credit Card, Key Lock and with Gold finish. Available in 4 GB, 8 GB and 16 GB capacities. Gold USB Pendrive, ideal gift for promotions. Customisable with Logo and colors. Gold USB Pendrive, ideal gift for promotions. Customisable with Logo and colors. Gold USB Pendrive, ideal gift for promotions. Customisable with Logo and colors. Keyshaped USB Pendrive, ideal gift for promotions. Customisable with Logo and colors. Keyshaped USB Pendrive, ideal gift for promotions. Customisable with Logo and colors. Keyshaped USB Pendrive, ideal gift for promotions. Customisable with Logo and colors. 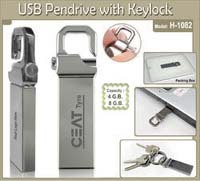 Key Lock USB Pendrive, ideal gift for promotions. Customisable with Logo and colors. Key Lock USB Pendrive, ideal gift for promotions. Customisable with Logo and colors. Key Lock USB Pendrive, ideal gift for promotions. Customisable with Logo and colors. Key ring USB Pendrive, ideal gift for promotions. Customisable with Logo and colors. Key ring USB Pendrive, ideal gift for promotions. Customisable with Logo and colors. Key ring USB Pendrive, ideal gift for promotions. Customisable with Logo and colors. 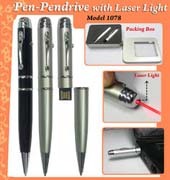 USB Pendrive with laser light, ideal gift for promotions. Customisable with Logo and colors. USB Pendrive with laser light, ideal gift for promotions. Customisable with Logo and colors. USB Pendrive with laser light, ideal gift for promotions. Customisable with Logo and colors. 2 in 1 Stylus Touch USB Pendrive , ideal gift for promotions. Customisable with Logo and colors. 2 in 1 Stylus Touch USB Pendrive , ideal gift for promotions. Customisable with Logo and colors. 2 in 1 Stylus Touch USB Pendrive , ideal gift for promotions. Customisable with Logo and colors.